For most of us, a new role in life presents a variety of challenges and some surprises, too. Advice from someone who’s already been there can help get us through the rough spots. In the case of university students, who better than seniors to offer the benefit of their experience? This week, Can Atalay, a fourth-year Mechanical Engineering student, gives advice as to how this year’s freshmen can make their university lives a bit easier and less complicated. Q. What advice would you give freshmen about the Bilkent experience? Firstly, always keep learning and expanding as an individual. Make sure you attend classes if you want a high GPA. For Turkish people, learn to speak English (actually do it), and search the web in English, as you can’t find legit info on most things in Turkish online. Learn to say no, and lastly, take massive action to reach your goals, but let go of your attachment to the end result. Q. What’s something one should keep in mind throughout their time at Bilkent? One day you’re gonna graduate, so don’t not. Q. 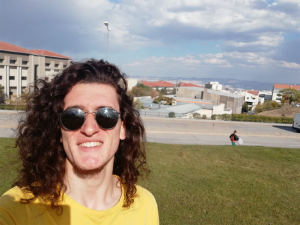 Any tips or tricks to surviving life at Bilkent? – Check your email frequently. – Learn meal prep if you aren’t that well-off – you’ll save time and tons of money and will be eating healthier at the same time. – Befriend – or be in a circle where there are – students who are more experienced than you; this will help you adapt much faster. Q. One word about your experience at Bilkent so far?